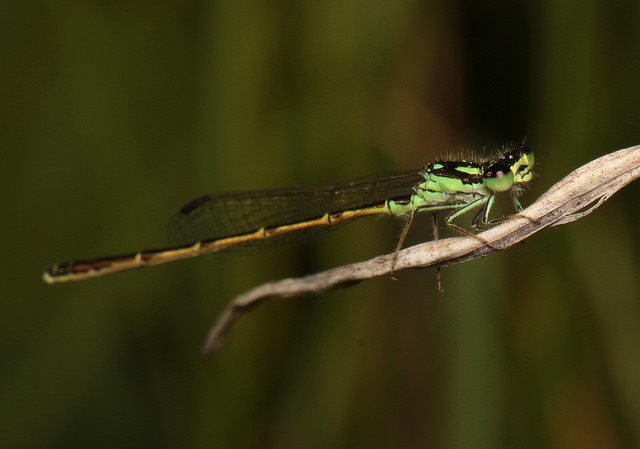 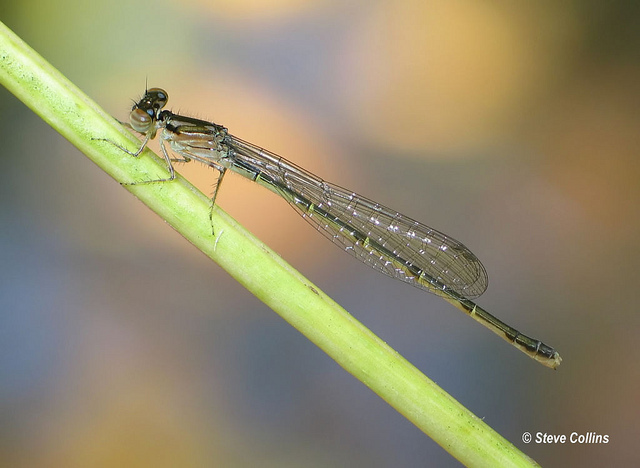 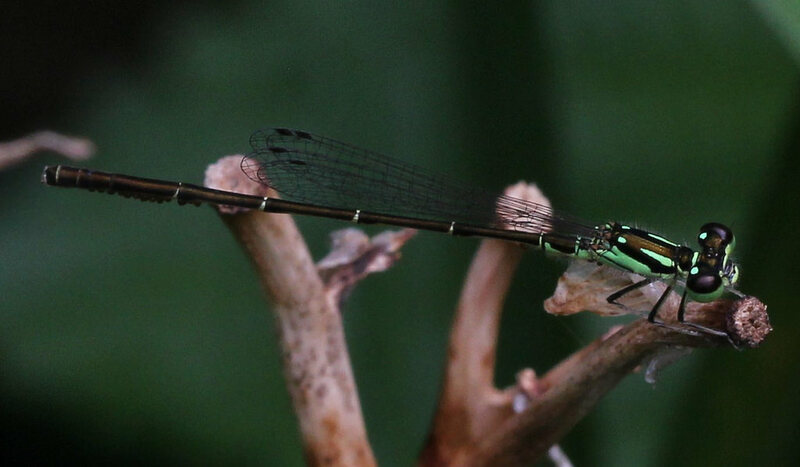 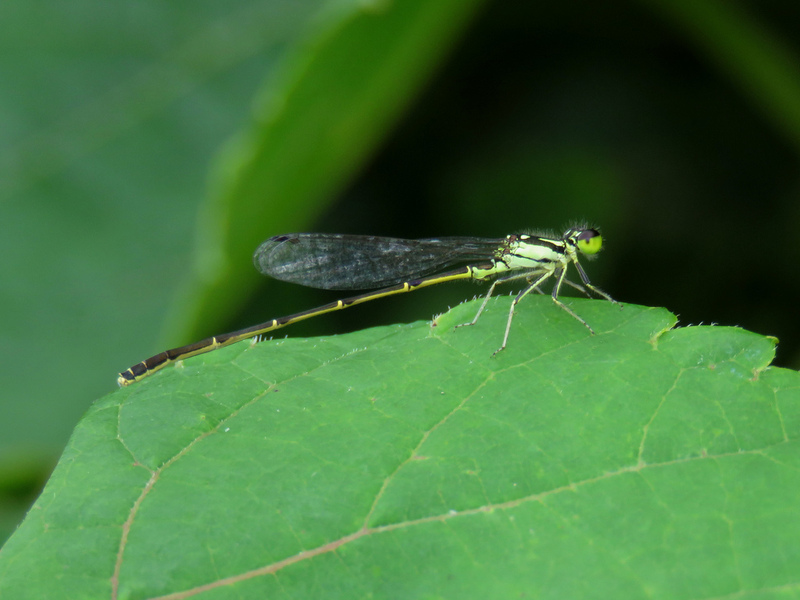 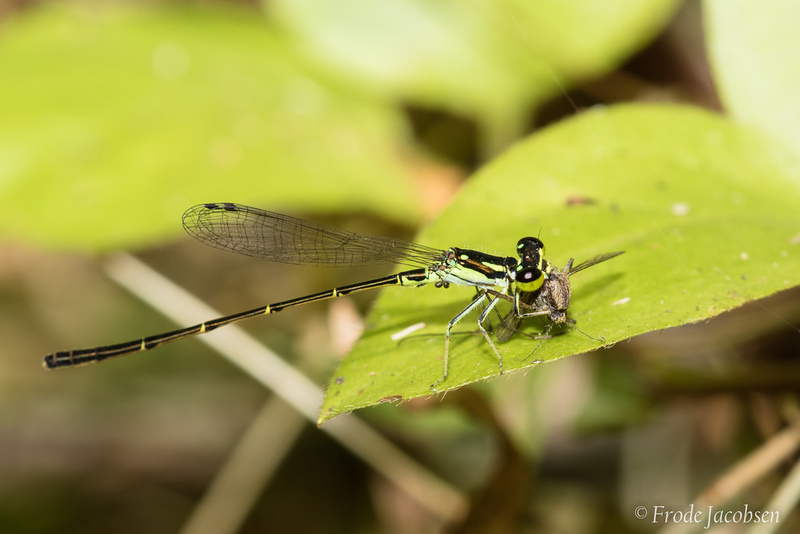 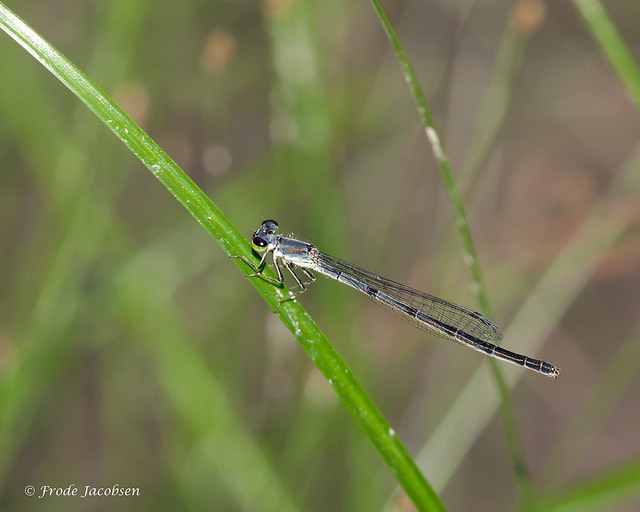 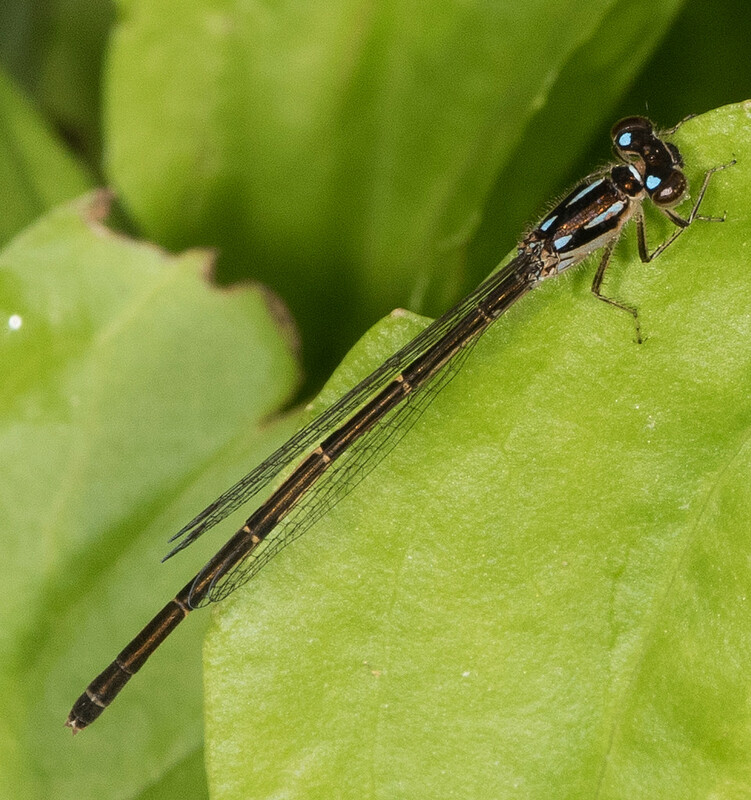 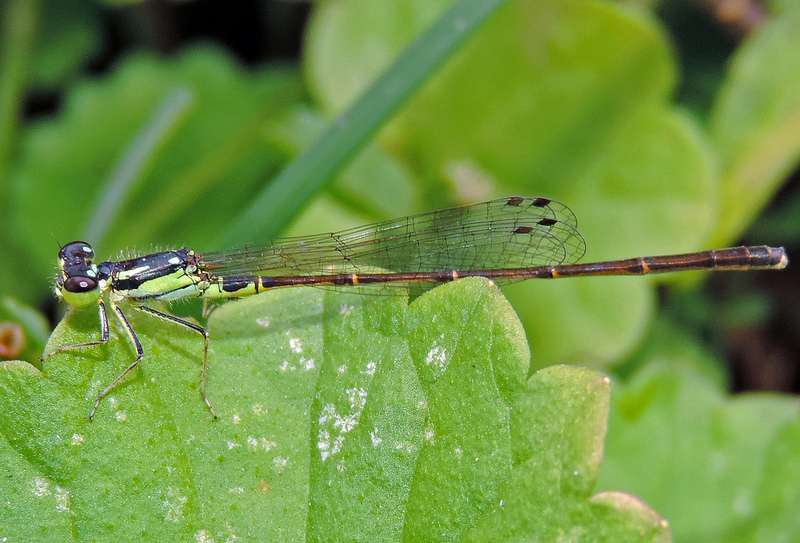 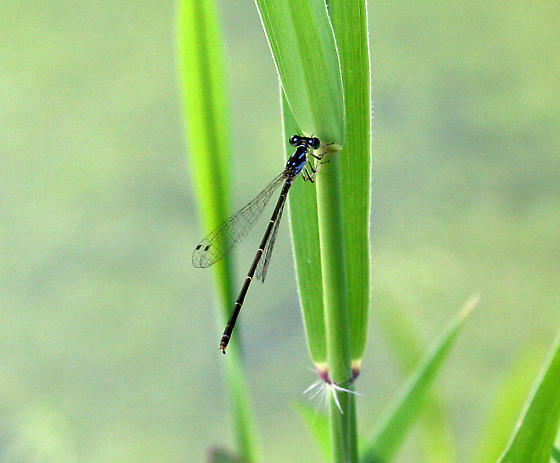 Fragile Forktail (Ischnura posita) is a small, dark species of forktail, found commonly at vegetated ponds, lakes, ditches, or slow sections of streams over an extensive range. 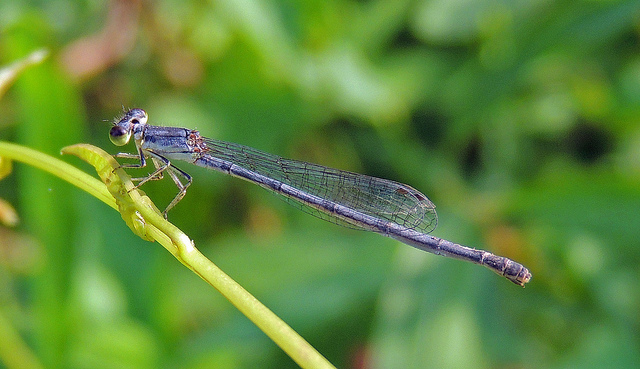 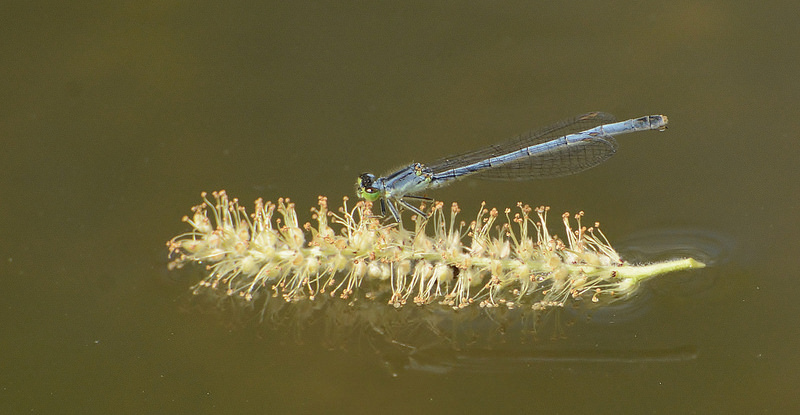 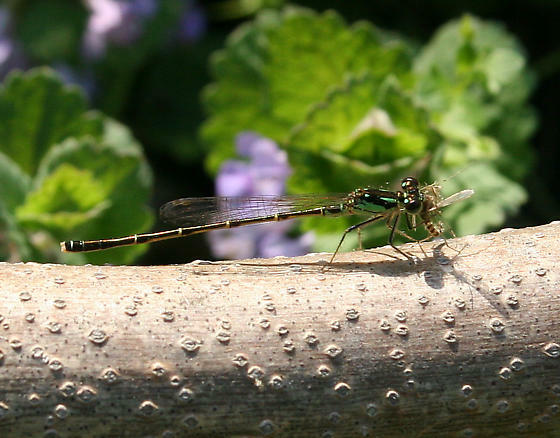 This damselfly will often perch or forage in the shade (Lam, 2004). 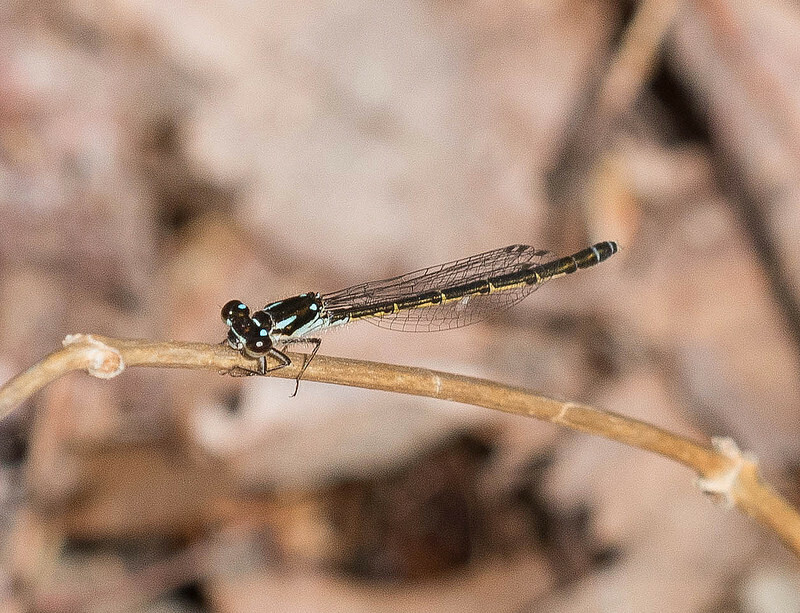 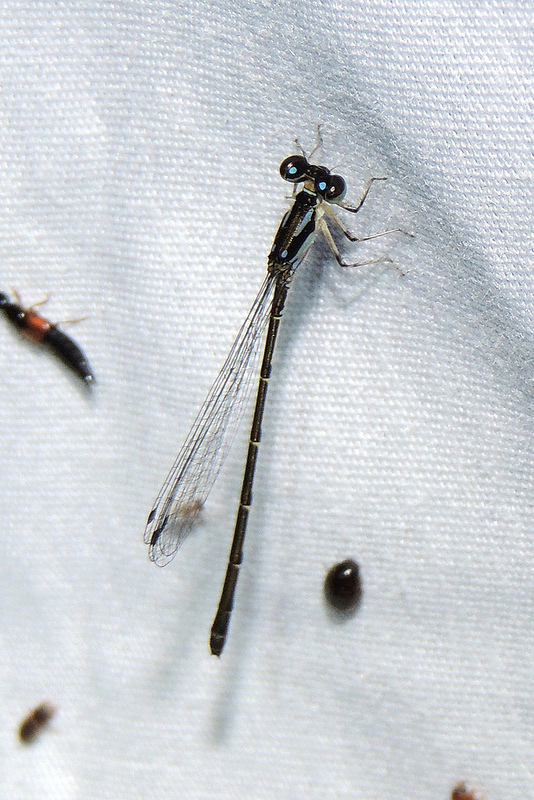 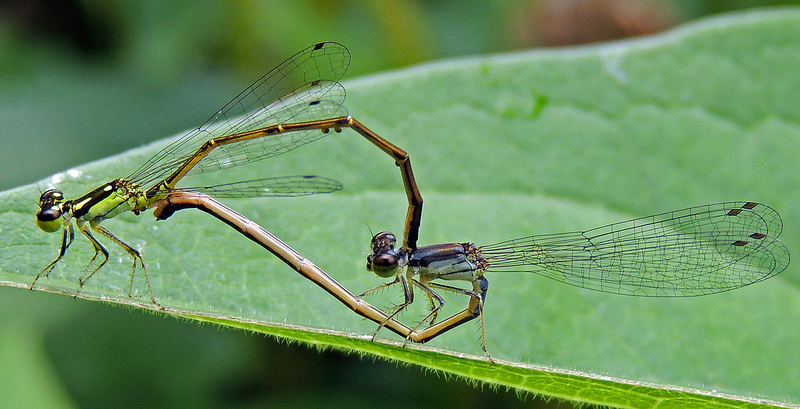 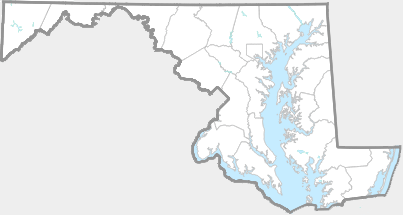 In Maryland, this species is abundant, and occurs in every county (Richard Orr's Dragonflies and Damselflies of Maryland and the District of Columbia). 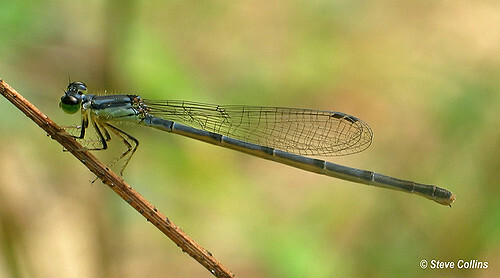 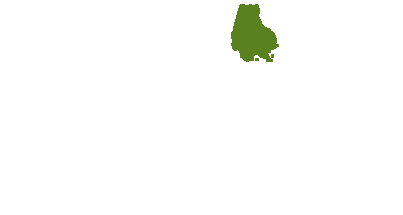 The interrupted thoracic stripes, similar in shape to an exclamation mark, are very distinctive. 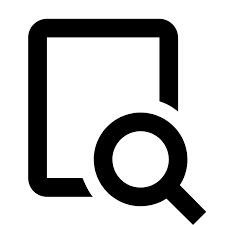 There are 1,085 records in the project database.